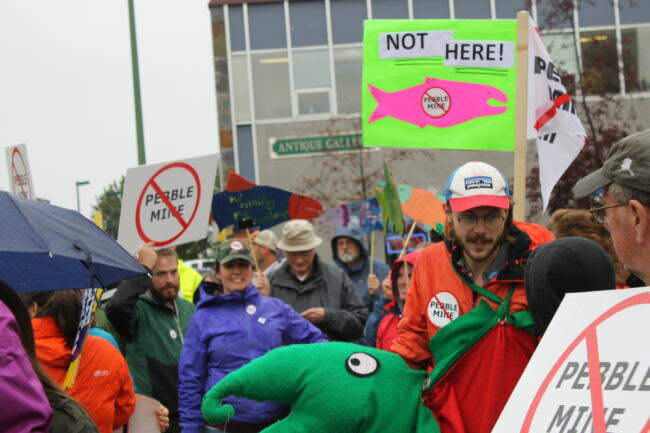 Pebble Limited Partnership spent more than $1 million last year to lobby the federal government on its plan to dig a controversial mine in Southwest Alaska. How much more? That’s hard to tell from reading Pebble’s lobbying disclosure reports. But Pebble’s own disclosure reports show a substantially lower number. Pebble Spokesman Mike Heatwole said the company made a mistake and is filing an amendment. Heatwole put the real number at $1.37 million. That includes what the company spent on K-Street firms and the lobbying work of Pebble executives. Heatwole said the expenditures, an increase over prior years, are part of its effort to keep stakeholders informed about the advancement of the project. Among the lobbyists representing Pebble last year was former congressman Richard Pombo, R-Calif., who reported lobbying Interior Department officials. Pebble’s in-house lobbyist is Vice President of Corporate Affairs Peter Robertson, a former high-ranking official in the Environmental Protection Agency. Pebble also spent $70,000 on in-state lobbying last year, primarily paid to former legislator Eldon Mulder.